Working on contemporary music with amateurs brings its own challenges. A discussion with two composers and a conductor. Gregory Rose (UK) conducts orchestras, ensembles and choirs throughout Eastern and Western Europe & the Far East, including the Nederland Kamerkoor and the Estonian Philharmonic Chamber Choir. In the UK he has conducted Reading Festival Chorus and London Concert Choir and he is Music Director of Jupiter Orchestra and Singers, the amplified vocal ensemble Singcircle, and CoMA London Ensemble. He specialises in the Romantic and contemporary repertoires and his compositions include Missa Sancta Pauli Apostoli, winner at the 2006 British Composer Awards. Recent premieres include Missa Sancti Dunstani and Blonde Aphrodite rose up quite naked. He has made many CDs and has arranged and conducted for Linda Ronstadt, Madness and Diana Ross. 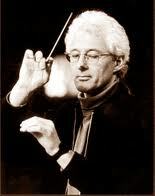 He is a professor of conducting at Trinity Laban. Ramon Humet (Barcelona 1968) is composer and engineer. After he studied composition with Josep Soler, he followed master classes with Jonathan Harvey among others. The Olivier Messiaen International Composition Prize crowned his work in 2007. He teaches composition at the Liceu Conservatory since 2009. In 2014, Humet will be ‘composer in residence’ at the Palau de la Música Catalana. Jānis Liepiņš is artistic director and principal conductor of youth choir Kamēr. 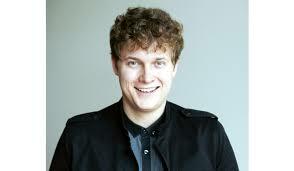 Jānis graduated from Jāzeps Vītols Latvian Academy of Music in 2012, gaining a BA in Choral conducting. 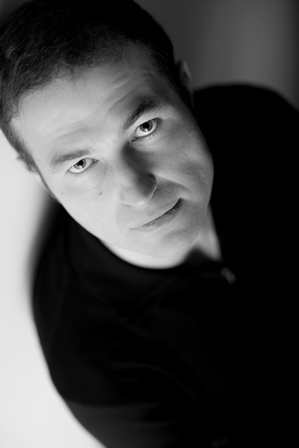 Jānis Liepiņš was the first place winner of the Teodors Reiters International Competition for Choir Conductors in 2007. He was also awarded the prize for “Achievements in international competitions and local choral competitions 2007” by the Ministry of Culture of the Republic of Latvia. Jānis has conducted Kamēr… on choir’s tours abroad – the Julius Berger festival Eckelshausen Music Days, concerts in Turkey (Istanbul and Ankara) in honour of the 89th anniversary of the proclamation of the Republic of Latvia, as well as the 40th Choral Contest in Tolosa in October 2008. Jānis Liepiņš is one of the founders of the Latvian Association of Choir Conductors, which was established in 2008.